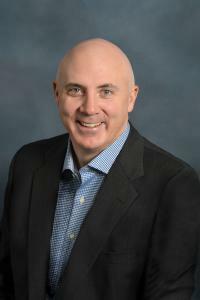 CHICAGO, IL, UNITED STATES, April 1, 2019 /EINPresswire.com/ -- Affinitiv, the retail auto industry's leading marketing technology provider, has appointed Kevin McShane as Chief Revenue Officer (CRO). McShane is a 20-year veteran of the enterprise software and services industry, and brings years of experience deeply rooted in marketing technology. McShane was most recently CRO of MOBI Wireless Management based in Indianapolis, Indiana. He joined the company in late 2017 and quickly built and scaled a revenue engine that led to a highly successful exit selling the company late in 2018. As an executive and growth strategist with over 20 years in building and scaling Software-as-a-Service (SaaS) companies into leading organizations, his track record has consistently delivered hyper growth and market dominance. During this time, he also led four venture capital/private equity companies through exits and has led large sales teams at a several companies, including HP Software. “I am thrilled to join the Affinitiv team and very excited about our future. Our customers are looking for the intersection of innovation, technology and service to drive better outcomes for their customers. The investment Affinitiv has made in these three areas position the company for a bright future," said McShane. served on the Notre Dame Monogram Club Board of Directors. McShane and his wife Kate are raising four children and live in the city of Chicago.